Is Electro Swing dead? Not at all, I think it’s never been stronger. One of the great things about Electro Swing is that it cuts across genres. I play house, electro, drum and bass and all kinds of dance styles in my sets, all with a common thread of something old meets something new. 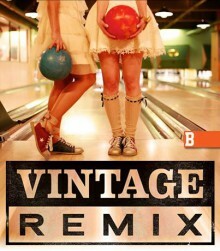 Featuring some of the most special specialists spinning 1 hour of the best of their Vintage Remix Genres at the first club in the world to specialise in these great musical forms .